Ex Disability Examiner Reveals How to Get an Accurate Decision in the Least Amount of Time! Medical Consultants Vs Independent Consultative Examiners in the Disability Determination Process: What is the Difference? This Social Security Disability Claims Newsletter resource is for applicants and claimants seeking benefits who want to get an accurate decision in the least amount of time. Click here to read our latest disability articles and disability news. When you become a Claims ESP Club Member, you get notified by email when we post new articles and tips for getting and keeping your Social Security Disability Insurance (SSDI) and Supplemental Security Income (SSI) Benefits. You can join right now. It's absolutely FREE!!!! Enter your name and email address below. State is optional. 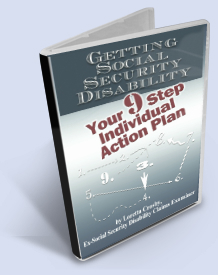 Getting Social Security Disability: Your 9 Step Individual Action Plan is now available for delivery to your Kindle reader. Copyright 2005-2016 © One Pupil Publications. All Rights Reserved.